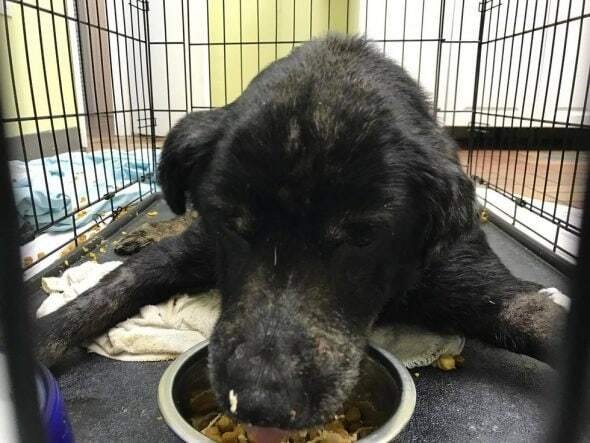 When poor Collin was found, someone had put him out. That was it. 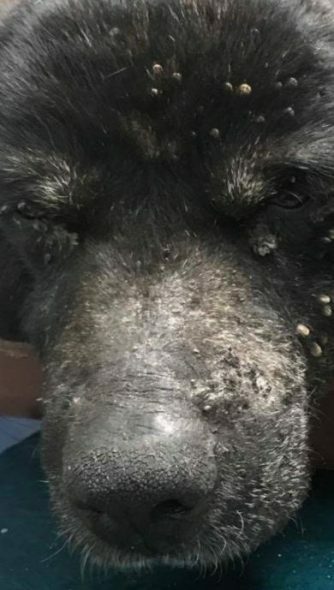 They literally just kicked this poor neglected dog out of their home, most likely because they didn’t want to deal with the list of medical issues their neglect saddled him with. So when a good Samaritan came across him just lying on a street corner, they knew they had to do something. The good Samaritan took photos of Collin and took to Facebook to expose what was going on. That’s when Kaye saw Collin for the first time, and knew that this was no way for a dog to be treated. She just couldn’t look away from this pitiful picture, knowing that nothing might be done. “I just combed the thread thinking, ‘Oh, someone probably already saved him. But it was unfolding in the moment,” said Kaye. 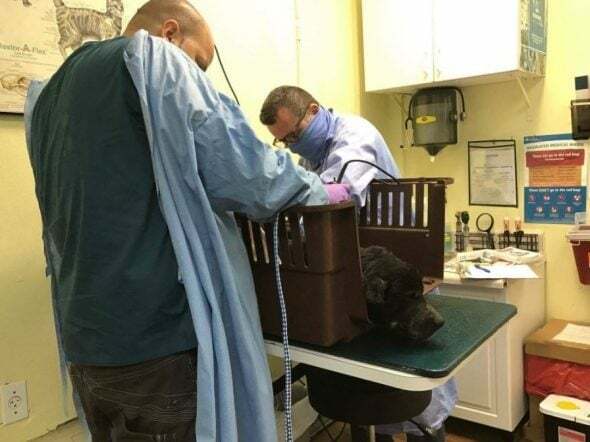 That’s when she decided to call a veterinary hospital, and asked if they could help. 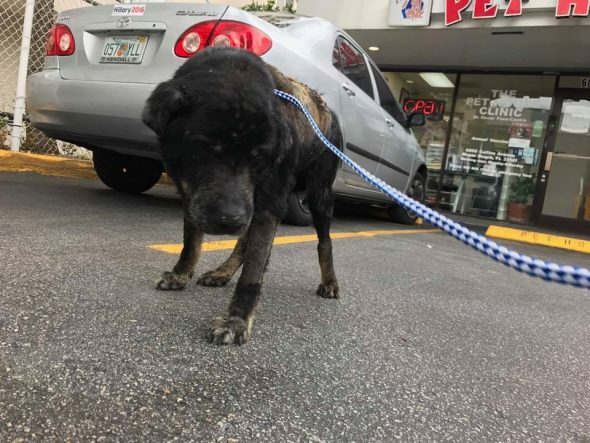 That very same day, Collin was taken to the Pet House Animal Clinic in Miami, and veterinarian Oscar Paez treated him straight away. 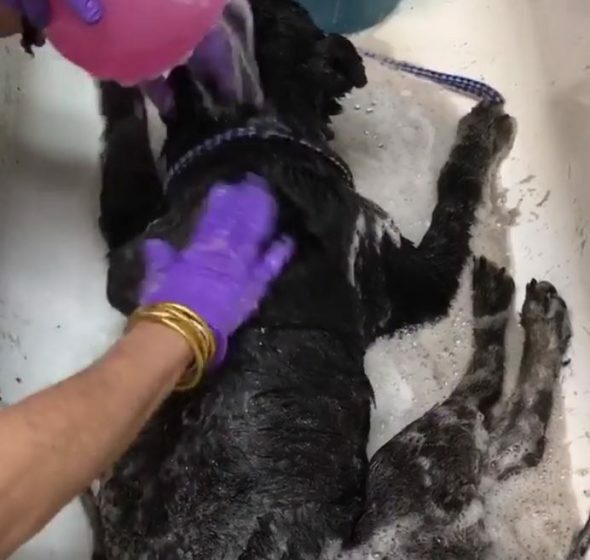 At first, Collin seemed almost lifeless in his caretakers hands, however as they washed him and cleared him of all the ticks stuck to him, he seemed to come alive. Collin has an appetite again, and has even been able to take a short walk on a leash. He really does have a lot of love and life left in him, and he gets better each passing day. Miraculously, Collin’s heartworm test came back negative, and even though he was covered in ticks, he doesn’t have any blood-born parasites that dogs can often get from them! Collin is not available for adoption as of yet, however that is the final goal as always. He still has a lot of recovery left to go through, and if you’d like to follow his progress, you can click here to go to the Their Lives Matter’s Facebook page just for Collin. If you can, please consider donating to Collin’s recovery fund. If you can, click here to do so. Thank you very much in advance for your kindness and generosity. 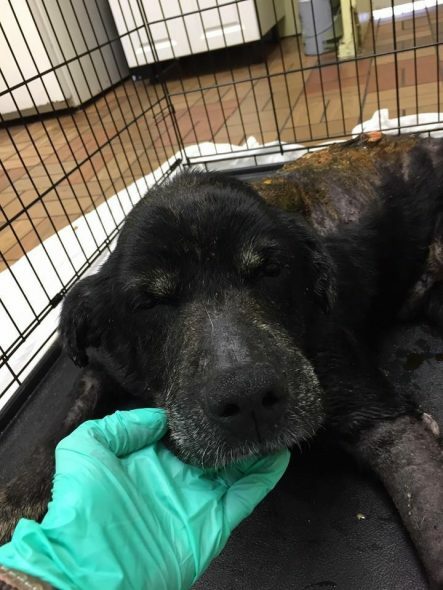 Please keep us updated on this old gentleman. Poor boy! 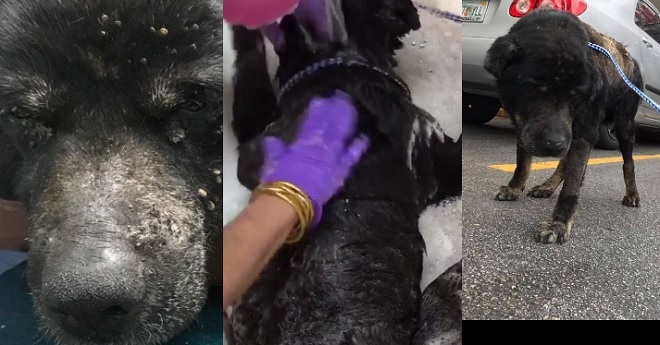 Homeless dogs are in great danger, especially in cities. All the basements are full of fleas. And all those flea treating chemicals are toxic too. Very sad situation, my respect to the rescuer of that dog.